Why is there a need of a Nokia 7 when we have a Nokia 6? Why Nokia 7 is the answer to the missing void in a Nokia Android phone range? When Nokia brand came back to the mobile industry earlier this year with their announcement of Nokia 3, Nokia 5, and Nokia 6, everyone (except smartphone brands) was quite happy to see them. Recently, Nokia 8 HMD Global’s flagship phone was made official. So, if you see the Nokia mobile range, there is only one handset left to complete this range. It’s called Nokia 7. Nokia 3 and Nokia 5 together attempts to capture entry level segment, while Nokia 6 is looking at capturing a sub 15000 price bracket. And Nokia 8 is a handset that is trying its hands in the premium price bracket. There left a price bracket between 15000 and 20000, which is one of the most popular mobile price range. 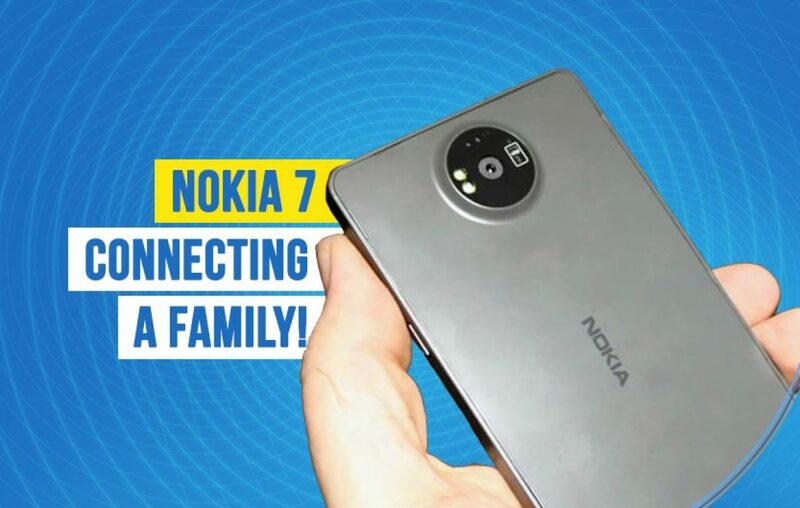 Mostly occupied by Motorola, Vivo, and OPPO mobile phones, Nokia could easily take on these brands with an introduction of a Nokia 7. 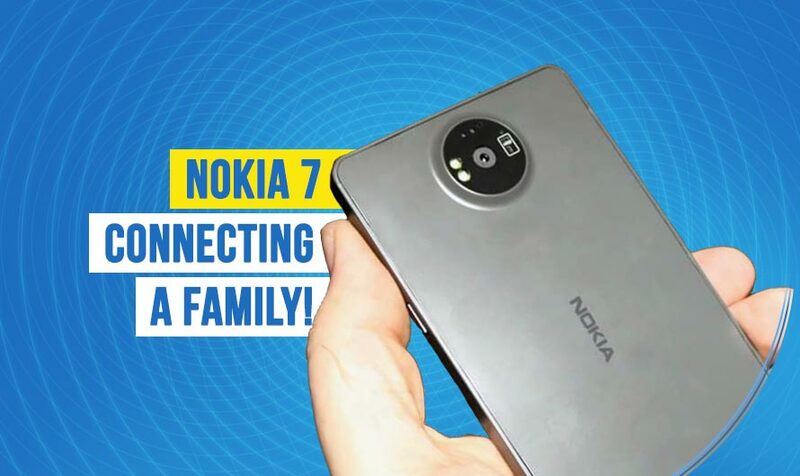 Can you tell me what are the Nokia 7 specifications? Nokia 7 is going to sport a 5.5-inch Full HD resolution display makes sure you have enough screen size to enjoy Netflix and gaming. Equipped with a Qualcomm Snapdragon 625 Processor, this Octa-core chipset makes Nokia 7 a perfect handset for multitaskers. An icing on the cake is that this chipset has lowest thermal temperature even if you are doing intense tasks. Accompanied by a 4GB RAM and a 64 GB onboard storage, which can be expanded up to 128 GB via microSD card slot. Coming to the optics, this Nokia phone claims to sport a 16 MegaPixel rear camera sensor with PDAF technology and f/2.0 aperture number. On the front, there would be an 8 MegaPixel sensor for selfie lovers. Running on latest Android Nougat 7.1.1 stable release, it would offer a stock Android experience. Nokia 7 features include Google Assistant support and a Google Photos stock app. Battery life is claimed to easily last one day with a 2800 mAh capacity. All thanks to the efficient processor and a stock Android interface. How much should a Nokia 7 cost? Once announced Nokia 7 should retail approximately at Rs 16,999. It would be a sweet price tag for this upcoming Nokia mobile phone in India. Who will buy a Nokia 7? For someone who is looking for a handset priced between 15000 and 20000. Consumers in India have shown interest in this price range, all Nokia has to do is live up to its name and present a handset in this price bracket to fill the void in their mobile range. The Nokia 7 would be up against the Vivo V5 Plus, Oppo F3, Moto G5s, Apple iPhone 5s, Samsung Galaxy On Max and a few other devices in the mobiles between 15000 to 20000 category. While competition is going to be tough, Nokia could come out in flying colours. Do you think this Nokia 7 Price in India is justifiable? If you don’t think so, then, how much should it cost according to you? Let us know in the comments section. Now you probably understand the need of Nokia 7 in the market. What’s the update on Nokia 7 release date in India? > Nokia is all set to announce the launch date of its latest phone, Nokia 7 and Nokia 7 Plus in India pretty soon. Here’s how you get a 99.99% discount on Redmi Note 4 & Redmi 4A! Here’s why Galaxy S8 design is the most beautiful thing we’ve ever seen! September 11, 20:03 Nokia Mobile Phones 2017 – Ultimate Nokia Mobile List! Can Galaxy S8 battery bury the hatchet of Note 7’s past? Meet Yureka Black – The new Gladiator among Mid-range Warriors!